The East Zone Bench of the National Green Tribunal (NGT) upheld a move by the West Bengal Pollution Control Board on Thursday to cap the noise level limit at 90 decibels on the occasion of Diwali. This has come as a pleasant respite in the festive season when revellers often ignore norms and loud firecrackers cause hearing problems. A sound limit cap on firecrackers at 125 decibels is in effect in the rest of the country. Following the move, the green tribunal has ordered Bengal’s pollution control board to issue fresh orders notifying the new upper limit. The order came in response to a number of petitions filed by fireworks dealers, manufacturers and traders in West Bengal, who argued that more stringent sound standards were unjustified, as it affected their livelihood. Manufacturers will now have to make two sets of firecrackers—one for Bengal and another for the rest of India. Earlier in 2013, the NGT had ruled as illegal the reduced noise limit of 90 decibels, saying that the Bengal pollution board was going beyond the mandate of the Noise Pollution (Regulation and Control) Rules, 2000, which governs fireworks noise regulations. It also said that in the absence of a technical study conducted into the effects of fireworks on sound pollution, the reduction in terms of decibels could not be justified. The Bengal pollution board, along with the state government’s support, subsequently decided to appeal against the NGT ruling in the Supreme Court this year. Following the submission of recommendations by an expert committee set up by the state pollution control board, the apex court upheld the former’s mandate to go beyond the scope of the regulations and directed it to file an appeal with the NGT for considering the new recommendations. The expert panel was headed by Kolkata-based ENT specialist Dulal Bose. In its defence, the Bengal pollution control board initially cited high levels of urbanisation and the classification of a large portion of its area as eco-sensitive as valid reasons for lowering the noise limit to 90 decibels. After considering the expert committee’s recommendations, the NGT said that the state’s pollution control board had to issue its own order, notifying stricter sound standards. He added that the implementation of this order would be carried out through careful coordination with the district authorities, the Bengal police and other law-enforcing agencies. The pollution board is expected to release its orders later on Friday. As a result of the revised sound standards, the manufacture, sale and use of firecrackers such as garland crackers, dhani patkas, kali patkas, rocket bombs, dodomas and chocolate bombs will be banned. However, the state administration will have to regulate the market strictly to prevent the sale of these items as already these have been stocked by retailers and dealers across the state. The 90 decibel limit is equivalent to hearing a train whistle from a distance 500 feet or a motorised lawn mower at close proximity. The standards set by the Occupational Safety and Health Administration under the United States Department of Labour say that eight hours of sustained exposure to 90-95 decibels may result in damage and some amount of hearing loss. 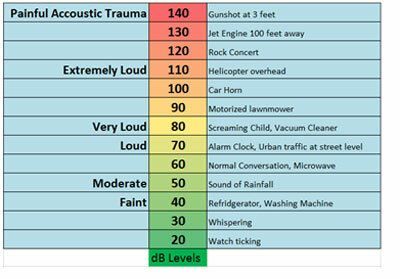 The national decibel standard in India is 125 decibels, which is the equivalent to a Jet airplane taking off at a distance of 50 feet. It is the pain threshold which may lead to a permanent reduction in hearing on sustained exposure for as little as four minutes, according to the US standard. Reduction in noise standards also reduces the amount of air pollutants released into the atmosphere as a result of revised dimensions of firecrackers. For example, as per the Petroleum and Explosives Safety Organisation (PESO) norms, a 125 decibel “atom bomb” has upper limits of 25 gram weight, 40 mm length, 20 mm diameter, 4.3 cc inner volume and weight of chemical ingredients at 2 gram per piece. If this is reduced to 90 decibels, all corresponding limits also decrease, including its chemical weight, and the subsequent amount of gases and by-products produced on combustion. The way forward is to study the effects of the reduced noise limits on the ambient air and sound quality in Bengal, and to understand, if the revised norms can and should be replicated in other states.